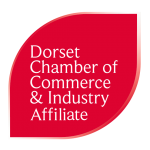 Your access to and use of www.dorchesterchamber.co.uk (“the Website”) is subject exclusively to these Terms and Conditions. You will not use the Website for any purpose that is unlawful or prohibited by these Terms and Conditions. By using the Website you are fully accepting the terms, conditions and disclaimers contained in this notice. If you do not accept these Terms and Conditions you must immediately stop using the Website. 3.1 change or remove (temporarily or permanently) the Website or any part of it without notice and you confirm that the Website shall not be liable to you for any such change or removal. 5.1 All copyright, trademarks and all other intellectual property rights in the Website and its content (including without limitation the Website design, text, graphics and all software and source codes connected with the Website) are owned by or licensed to the Website or otherwise used by the Website as permitted by law. 5.2 In accessing the Website you agree that you will access the content solely for your personal. None of the content may be downloaded, copied, reproduced, transmitted, stored, sold or distributed without the prior written consent of the copyright holder. This excludes the downloading, copying and/or printing of pages of the Website for personal use only.